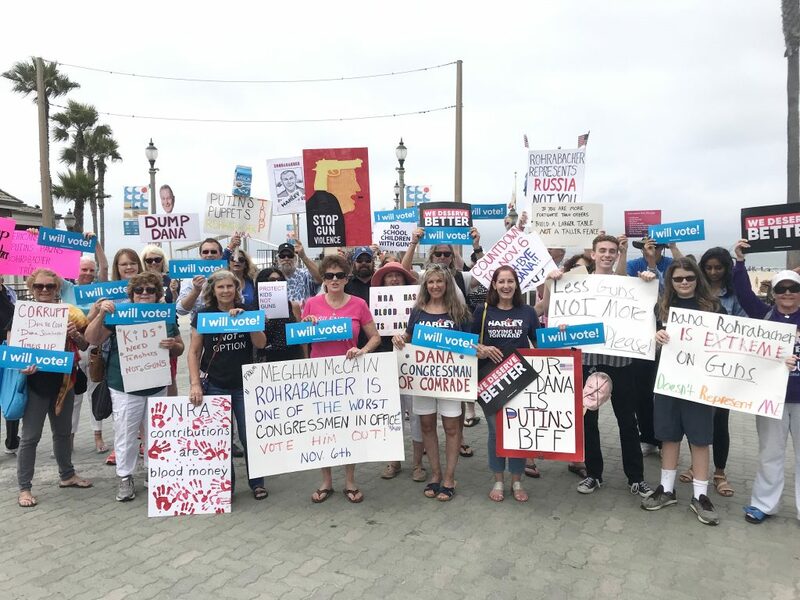 A group of demonstrators protesting Congressman Dana Rohrabacher pose for a photo during the event in Huntington Beach on Tuesday. Russian meddling and the idea of arming schoolchildren fueled a group of protestors this week, who took to the streets of Huntington Beach with signs and chants. On Tuesday, about 35 people demonstrated against congressional Rep. Dana Rohrabacher, who figured in two news developments this week that drew national attention. 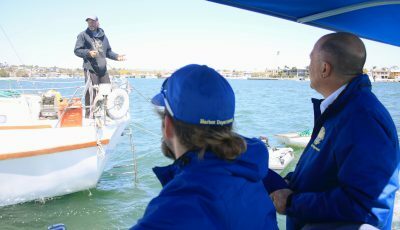 The race for the 48th Congressional District between Rohrabacher and Democratic challenger Harley Rouda of Laguna Beach is virtually tied, according to poll results released this week by the Monmouth University in New Jersey. Republican registration in the district, which includes Newport Beach and spans coastal Orange County from Seal Beach to Laguna Niguel, favors the 30-year incumbent, but enthusiastic Democrats and divided voter opinion are making this a competitive race, the polling institute announced Tuesday. This week, a spokesman for Rohrabacher confirmed that he led a congressional delegation to Moscow in 2015 where Maria Butina arranged a meeting with a senior Russian official. Federal prosecutors this week indicted Butina for conspiracy and acting as a foreign agent. Also this week, Rohrabacher appeared in the Showtime series “Who is America,” agreeing to a phony proposal to arm students with weapons. “Maybe having young people trained to defend themselves in their schools might make us safer here,” Rohrabacher said in the segment. In the episode, comedian Sacha Baron Cohen impersonated an Israeli proponent of arming young children and duped congressional leaders into reacting to the plan. Rohrabacher called the segment “false news” and claimed he was misled and his comments were misconstrued, he explained in a statement released Monday. The footage was apparently from an interview Rohrabacher submitted for a “bogus Israeli television company supposedly celebrating the country’s 70th anniversary,” he explained, He wasn’t interviewed by Cohen and spoke broadly of training “young people at a responsible age in self-defense,” Rohrabacher clarified. 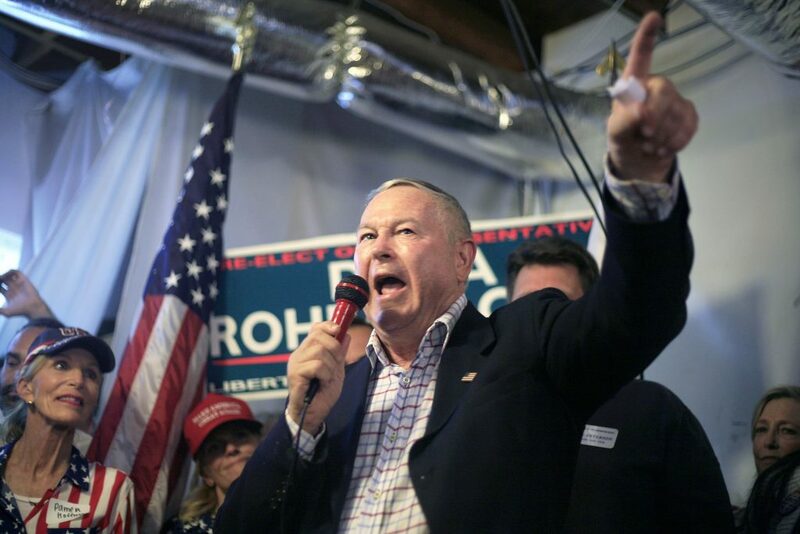 Republican incumbent Dana Rohrabacher speaks during a primary election night event on June 5 at his campaign headquarters in Costa Mesa. “At no time did I endorse training toddlers in handling guns. Nor was the idea even presented to me directly. If it had been, I would have rejected it,” Rohrabacher noted in the prepared statement. He pointed out that his comments were in line with the standard “Run, hide, fight,” response for school shooting scenarios. 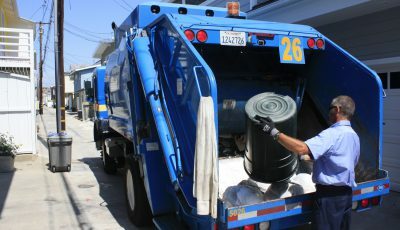 Rouda seized the opportunity to belittle his opponent. “Orange County doesn’t need a Congressional representative who supports arming kids in school with guns,” Rouda said in a statement. 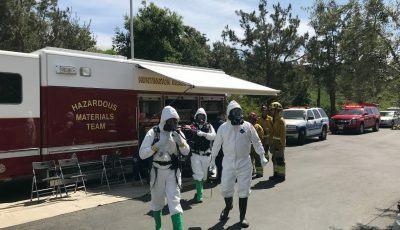 Members of the SoCal Health Care Coalition, whose members typically focus on affordable health care, also sandwiched gun control and Russian meddling into their weekly protest outside Rohrabacher’s field office in Huntington Beach, said John Vitzileos, who works with the coalition. Among the protestors was Tyler Wong, a senior at Sage Hill School in Newport Coast. The 17-year-old, who will turn 18 in August and then vote for the first time in November, organized a political action club on campus. He also volunteered to assist with congressional candidate debates by Indivisible 48, a progressive activist group. 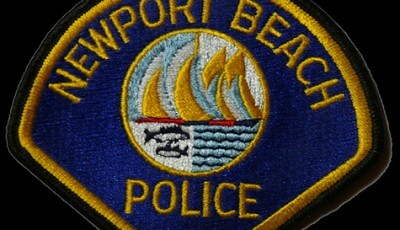 He expressed dismay over Rohrabacher’s position on school shootings.